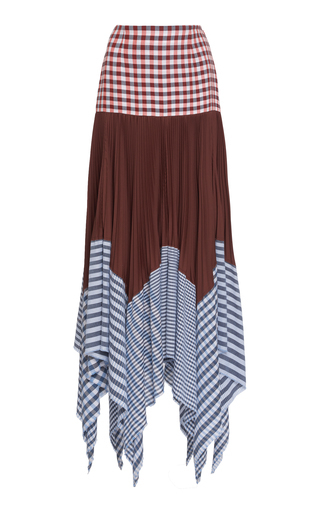 Loewe's skirt is made from panels of checked cotton-jacquard to create a cool patchwork effect. Threaded with rope through the fold-over waistband, it falls to a draped asymmetric skirt. It looks best with simple sandals - opt for a tan pair to match the leather strap.